Israeli police arrested a Palestinian man last week after a Facebook post he made saying "good morning" in Arabic was mistranslated to read "attack them" in Hebrew, local media have reported. Police confirmed that the construction worker was briefly held under suspicion of incitement but was released as soon as the mistake was realised. The post showed a photo of the worker next to a bulldozer in the West Bank. Such vehicles have been used to attack Israelis in the past. There is only one difference in lettering between the colloquial Arabic phrase for "good morning to you all" and "hurt them", pointed out The Times of Israel. 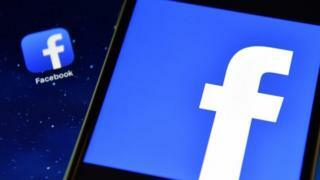 No Arabic-speaking officer was consulted before the arrest was carried out, say reports, with officers wholly dependent on Facebook's automatic translation. The post in question has now been deleted. There were red faces at Google last year, when its online translation tool rendered the Russian Federation as "Mordor". Mordor is the name of a fictional region in JRR Tolkien's Lord of the Rings books. In addition, "Russians" was translated to "occupiers". Google said at the time that Translate worked by looking for patterns in hundreds of millions of documents - but translation remained difficult as the meaning of words was tied to the context in which they were used.